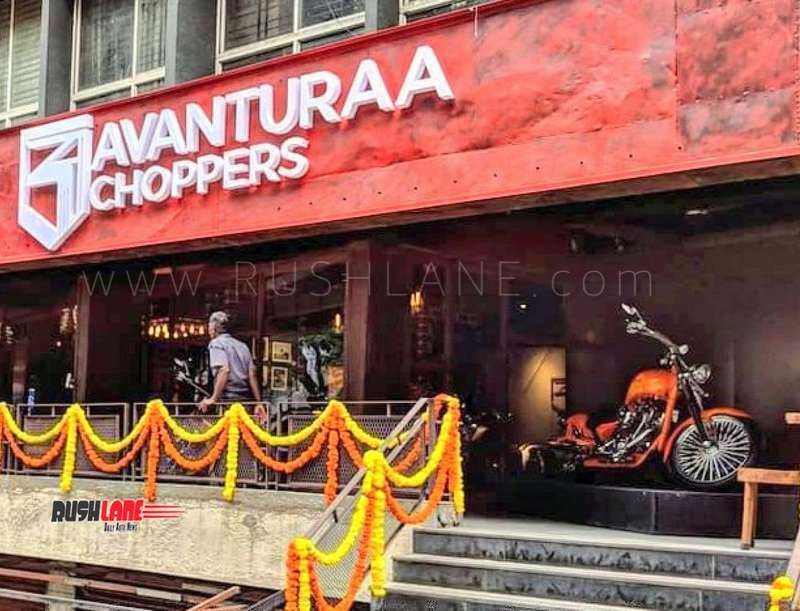 Avanturaa Choppers have opened their Bengaluru showroom and began retailing the Rudra and Pravega chopper motorcycles. Mumbai based startup for chopper motorcycles, Avantura Choppers, opened its first showroom at The Driven Café, Residency Road, Bangalore. The company plans to capture around 50% of the country’s chopper market; with its 2,000 cc motorcycles. They will face tough challenge in the segment which is dominated by Harley Davidson. Amitabh Biswas, founding partner and chief marketing officer of Avanturaa Choppers states that the company plans to sell 250 units in its first year. Following the opening of its new Bengaluru showroom, the company plans to start a dealership in Hyderabad and Delhi and two more in west and east India by the end of this fiscal. Chopper bikes are regaled by users in its class. It originates from California and is seen with extensive customization, larger engines and lower seats, handlebars and front forks. It is this segment of 1600cc bikes that Aventura brings its first two products Rudra and Pravega. Both 2000cc bikes and have price tags of Rs 21.40 lakhs and Rs 23.90 lakhs respectively. Aventura Choppers also offers personalization options for the bikes which can be had in a choice of three handlebar shapes, two engine finishes and three fender options. There are also five graphic themes and two color choices offered to buyers. The bikes are get components sourced both locally and from global vendors. The Beringer 6 pot calipers for front and rear discs are sourced from Germany along with clocks, wiring harness, suspension and switchgear which are sourced from Thailand while the frame, swingarm and wheel are manufactured at the company facility in Vasai near Mumbai. Avanturaa Choppers has recently received ARAI certification for both the Rudra and Pravega which are powered by 2000cc fuel injected V twin engines. Kevin Alsop, Founder of Big Bear Choppers (USA) has been brought in as Chief Design Engineer of the brand.